KOSCIUSKO — 2018 was a year of heartbreak and hard times for Kosciusko County and Ink Free News’ most read stories reflect that. The following is a listing of our ten top-read stories from the year. With 74,064 page views, the fatal school bus stop accident that took the lives of three school children received the most reads of 2018. On Oct. 30, officers responded to a single-vehicle crash. Three children, Xzavier Ingle, his twin brother, Mason Ingle, both six, and their sister, Alivia Stahl, nine, all died at the scene from injuries sustained in the crash. Maverik Lowe, 11, was flown, via Samaritan Helicopter, to Parkview Hospital in Ft. Wayne. 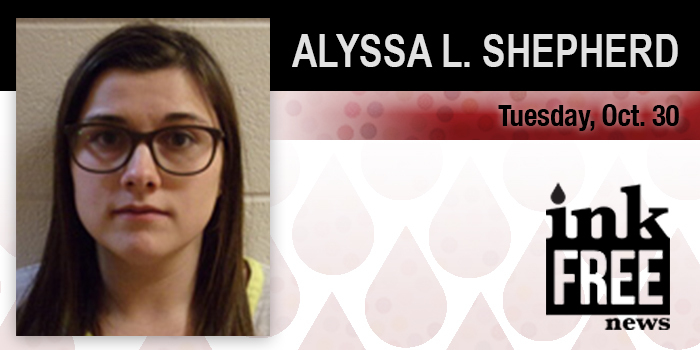 Alyssa L. Shepherd, 24, Rochester, is being charged with three felony charges for reckless homicide and a misdemeanor count for passing a school bus, with the stop arm extended, causing injury. On Jan. 13, a police chase on US 30 ended with two people dead and two critically injured. Jacob Slone, 19, Warsaw, and his passenger Paige Jefferson, 16, Warsaw, both were pronounced dead at the scene of the accident. Injured in the crash was Miguel Linares Jr., 34, Bloomfield Hills, Mich. and his passenger, 35-year-old Nora Linares, also of Bloomfield Hills, Mich. 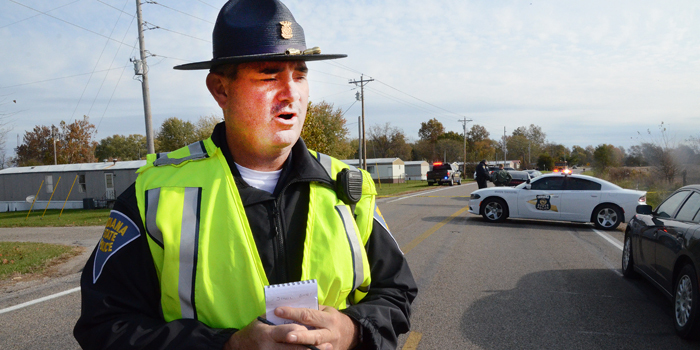 The crash resulted after an Indiana State Trooper responding to a theft. The trooper saw a vehicle that matched the description of the suspect vehicle and attempted to stop it. 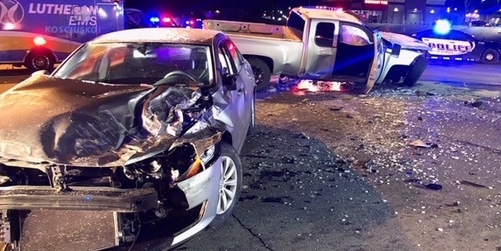 The suspect vehicle fled eastbound on US 30 and drove through a red light at the intersection of US30 and Parker Street, crashing into three other vehicles. On Oct. 29, a motor vehicle traffic crash occurred on US 30 at CR 350W in Kosciusko County. According to witness statements, the Peterbilt Semi was traveling from northbound CR 350W onto Westbound US 30 and was slowing or stopping in the median. 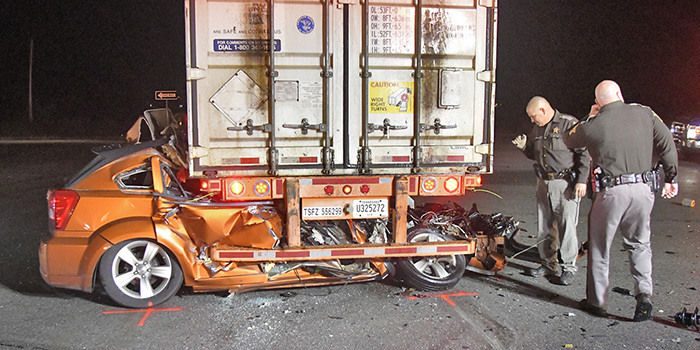 The Peterbilt’s trailer was then struck by an eastbound Dodge passenger vehicle. The operator of 2011 Orange Dodge was identified as Kristopher R. Reed, 40, North Judson. Reed was pronounced dead at the scene by the Kosciusko County Coroner’s Office. 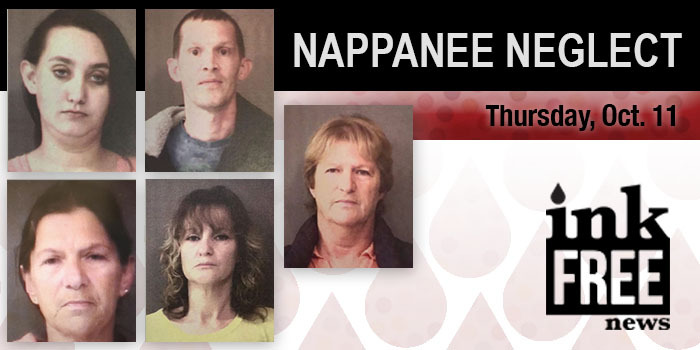 Five people have been arrested related to the severe neglect of a Nappanee child in March. The child had multiple pieces of his scalp missing, ranging from 1/2 inch to 2 inches. His septum on his nose had been cut out, and what appeared to be fingernail marks were dug into his left cheek and scabbed over. Both of the child’s arms were broken in multiple places and his arm sockets were broken to the point where the child was unable to raise his hands over his shoulders. Dr. Jayesh Patel stated that the child’s injuries were life-threatening and were not accidental in nature. Dr. Patel advised that if the child didn’t receive treatment at that point, he would have died within 48 hours. Ronald L. Strieby, North 500E, Syracuse, was killed in a hit and run accident on Sept. 11. 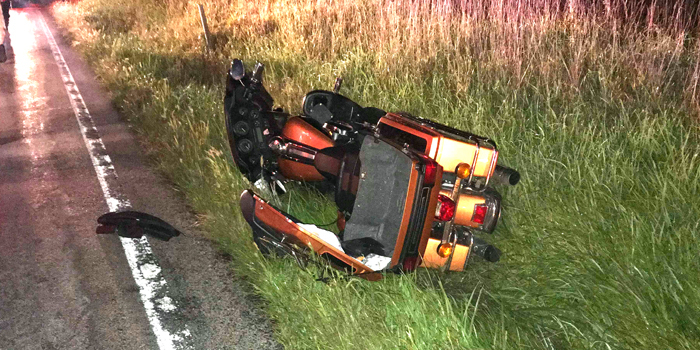 Officials with the Kosciusko County Sheriff’s Department report Strieby was found unresponsive in a ditch and partially in the roadway. Police state it appears Strieby was riding a bicycle westbound when he was struck by a vehicle, which left the scene. 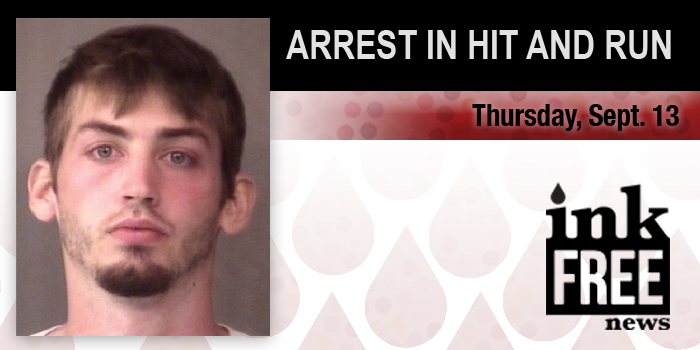 Skyler B. Kuta, 22, Syracuse, was later arrested for the accident and charged with leaving the scene of an accident resulting in death, a level 5 felony. This was the initial article that later led to the five arrests detailed in the fifth article of this list. This first article came after a mother and stepfather were arrested after neglecting to report that their child had been severely abused. Rune Star Springer, 24, 1359 West CR 800S. 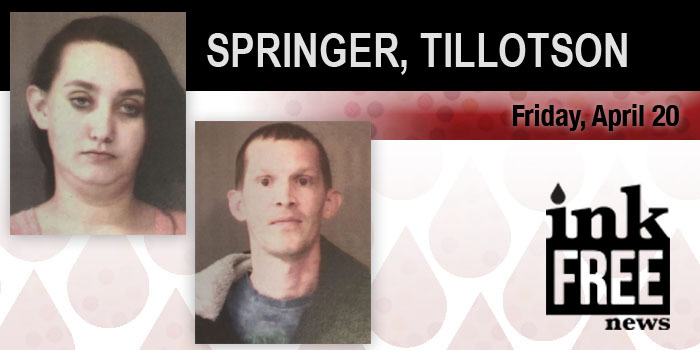 103, Claypool, and Travis Wayne Tillotson, 38, 1200 N. Main St., Nappanee, are each being charged with neglect of a dependent, a level 6 felony. A motorcycle driver was injured after striking a deer on Sept 2. Scott C. Sandlin, 47, Warsaw, was traveling east on East SR 14, just east of South County Farm Road when a deer entered the roadway. Sandlin was unable to avoid hitting the deer. Sandlin was transported from the scene by helicopter due to head injuries. A passenger on Sandlin’s motorcycle, Heather L. Carver, 43, Warsaw, had minor injuries and was evaluated at the scene by paramedics. 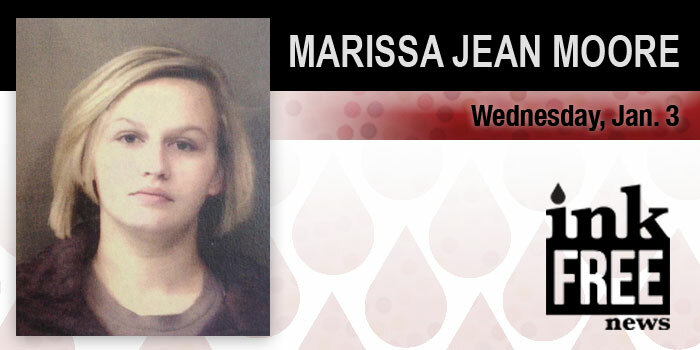 Marissa Jean Moore, 4330 N. Old Road 15, Warsaw, was charged with neglect of a dependent, a level 6 felony, in January after her infant child was found unresponsive. An officer with the Kosciusko County Sheriff’s Department responded to a call for an unresponsive infant at Moore’s address on Oct. 30, 2017. Medical personnel provided medical attention to the infant, transporting the child to Kosciusko Community Hospital where she was pronounced dead. An autopsy on the infant found the cause of death to be aspiration of food and unsafe sleeping caused by excess food/formula in the airway. On Oct. 1, authorities investigated a train vs. pedestrian accident in Milford that had all crossings closed from Syracuse Street, south to at least CR 1150N. Samuel Allen Pamer, 16, Milford, died from injuries sustained after being struck by a train in Milford.